We are going truck shopping!!!!!!!!!!!!!! 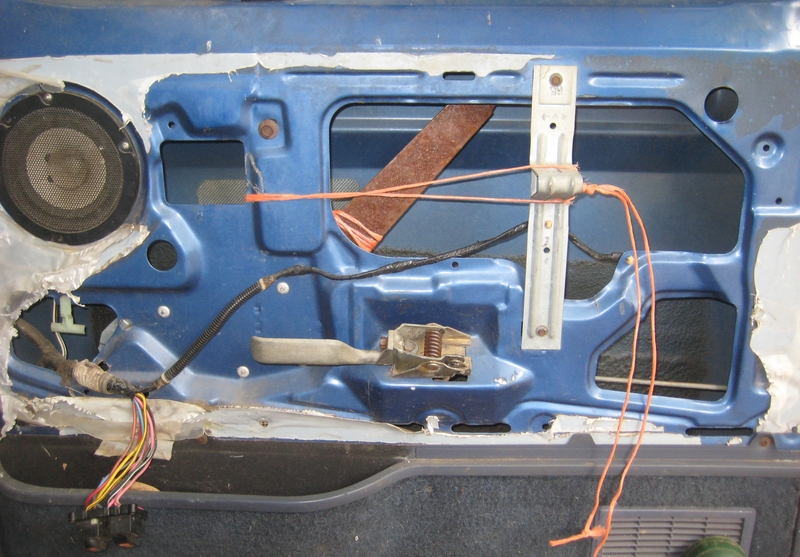 Missing inner door panel & broken automatic window. One of many signs of age. I love my truck but it is an ’89 that we have had for 18 years. The odometer has turned over so many times that it finally expired. The engine makes noises as if powered by asthmatic hamsters. The windshield leaks to the extent that I have to drive with a towel over my lap in the rain. An untraceable electrical problem kills the battery, makes starting unreliable, and means that if I put the lights on, I have to come straight home without stopping. All of this is dealable with. I have lots of towels, drive slowly, don’t drive at night, and make sure it is plugged it in whenever I want to drive that day. However, the various small annoyances swarm into a psychological barrier that leaves me feeling trapped out here in the country. 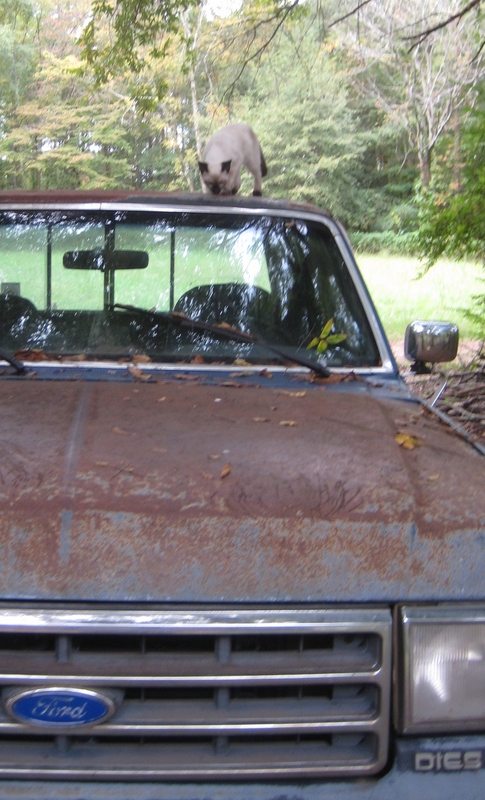 My in-house mechanic says we will be looking at Ford F-250, with low frills (cloth seats over leather, etc. ), strong towing package, but not a dually. We are open to used but haven’t found anything under 100,000 miles. He is debating gas vs. diesel. I am desperately hoping that if the new truck takes gas I will remember which fluid to put in what automobile. After pulling up to the same diesel pump for decades, I may forget. MI-HM thinks this will be my last truck. I am of such an age that if I am still still shipping to shows in 20 years, he says he will gladly buy another. Challenge accepted.